Hello lens pals, Here are several pictures I took for the challenge. 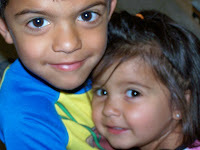 I did crop the rose picture a little but the ones of my kids were taken that way. 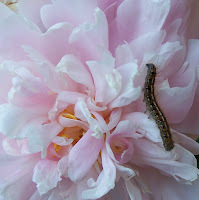 I was at a friends birthday party and I found the caterpillar so I used him to pose in the flower for me. http://www.photochallengeblog.blogspot.com/gspot.com/ See the bee hidden in flower. Camera shy I guess. This caterpillar was had to capture on film. Need more practice with a moving target. I just love peonies and so did the pillar. 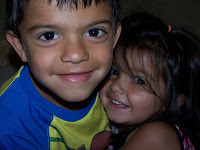 I threatened to spank the little girl and when I came around the corner I found her in her brothers arms. She said " buther tect me' ( brother protect me ) The bond between these two is incredible and I can only hope it lasts forever. Ladies I found this awesome photography tutorial if anyone is interested. http://www.twopeasinabucket.com/cg_display.asp?g=2&seed_id=26134 Thank you so much for putting this challenge blog together. It motivated me to contact Kodak and request a copy of the users manual which I intend on reading for the first time. Thanks to all you creative people out there. Those are great! Love the first two! Your kids are cuties!! Yay!!!!!!!! So glad you made your way over. These flower shots are beautifuL! And how awesome that you've found a live subject willing? to be your model! LOL!!!!!!!!! 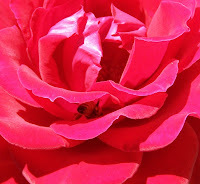 Great pictures of the flowers, they are beautiful!! Good Job!! These are fantastic!! 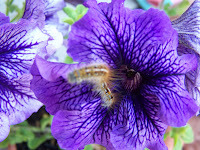 Love the flowers and the caterpillar!! Beautiful colors! Your son and daughter are too sweet!! Your daughter is very intelligent too, she knows where to go to be saved, Ekkk...(grin)...I'm glad you are enjoying the challenge's and are learning to have fun with your camera. Good luck with the camera manual, they do help!! your kids are so cute! I hope mine are as close as yours are. I lvoe the flowers too! Thank you all for leaving me such positive and encouraging words. This is a ton of fun and I love all your feedback. Erin your kids are adorable too and will be close. Wendy I still have to make time to read the manual. Spider man has held my attention lately. Thanks for looking.